Jane Ann Stara, 69, of Bruno, entered into eternal rest on June 10, 2016, at David Place in David City. 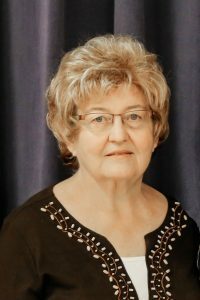 St. Anthony's Catholic Church-Bruno, Nebraska 10:30 A.M.
Visitation Monday 3-7 P.M Rosary Service 7 P.M.
Jane was born March 2, 1947 in David City to James and Rose (Jelinek) Roubal. Jane attended school in Abie District 25. She graduated from David City Aquinas in 1965 and began working at Dale Electronics in Columbus. On August 20, 1966 she married Ernest Stara and lived on their farm by Bruno. After spending time as a stay at home mom and farm wife she went to work at IGA in David City and in 1995 began working for the David City Post Office as a rural carrier associate. Her initial routes included Linwood Route 1 and Bruno Route 2. Before her retirement on March 31, 2016 she was the carrier for David City Route 2 and Bruno Route 1.
volunteered in the East Butler Public Schools, Blue Valley Com. Action, and also an avid genealogy researcher being a member of the Butler County Genealogy Society. Jane is survived by her husband Ernie in Bruno, daughter Dr. Michelle Stara(Peta) of Lincoln, sons Doug Stara (Carol) of Ulysses, Chris Stara and Greg Stara of Omaha, 7 grandchildren, Cassie, Stetson, Cole, Kylee, Caitlin, Bailey, and Megan, one sister Kathy(Vaughn) Wasenius Glenwood, Ia. and many relatives, neices and nephews.